One of my favorite movies as a kid was Beauty and the Beast. I am so excited for the new live action version debuting this March. 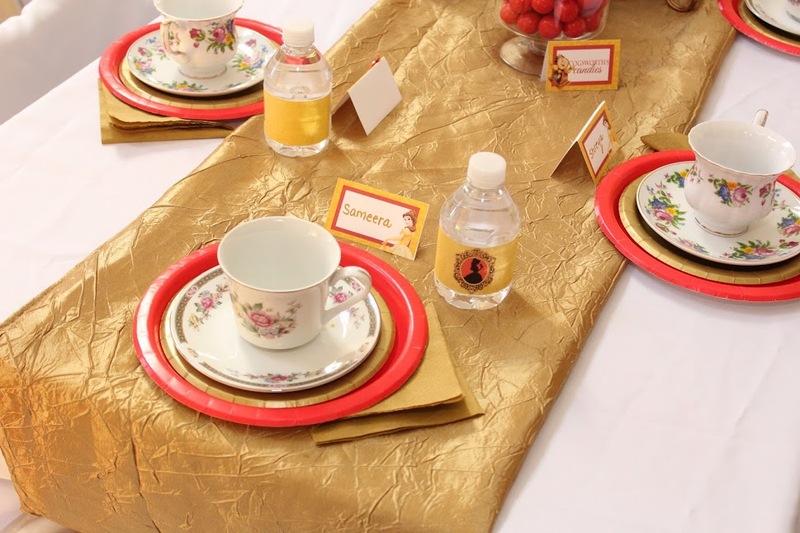 If you have a little princess, check out these helpful tips to the throw the perfect Beauty and the Beast Princess Party and be sure to download the FREE water bottle label printable below. 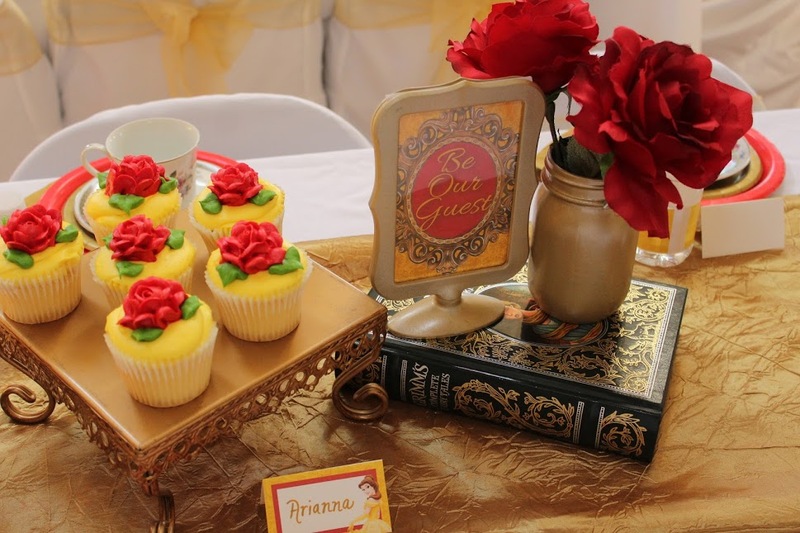 Beauty and the Beast is colored beautifully in red, yellow and gold. 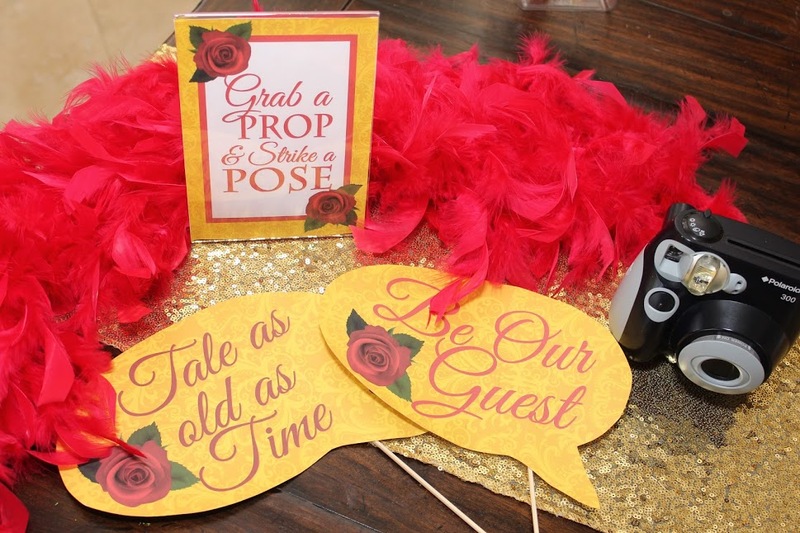 If you’re looking for an affordable way to host a princes party, check out these fun tips! Easily transform your tablescape with a can of gold spray paint and up cycled mason jars or vases. Google search “Beauty and the Beast” for images and print to size. 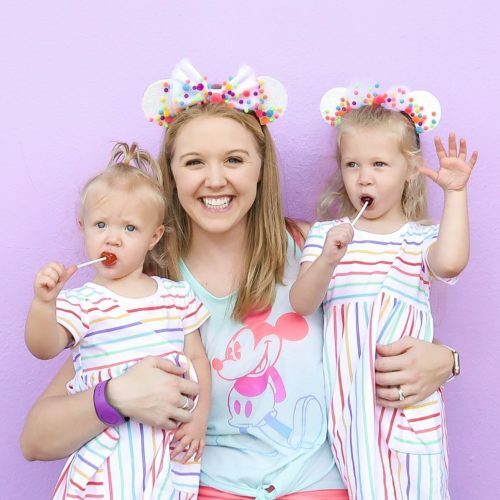 Frame these photos for a fun and beautiful touch to the table or overall decor. If you have any old books laying around or have a chance to grab some for cheap from a second hand store, decorate the table with books stacked in varying heights. Belle loves to read, so books make perfect (and thrifty) decor! Roses are essential because the story of Beauty and the Beast is centered on a single red rose. Pick up fresh flowers from the grocery store or purchase artificial ones from a craft store or the Dollar Tree (if you’re on a tight budget). I made a rose replica like in the movie by purchasing the glass top and wooden base from Hobby Lobby and then hot gluing a single rose stem inside. 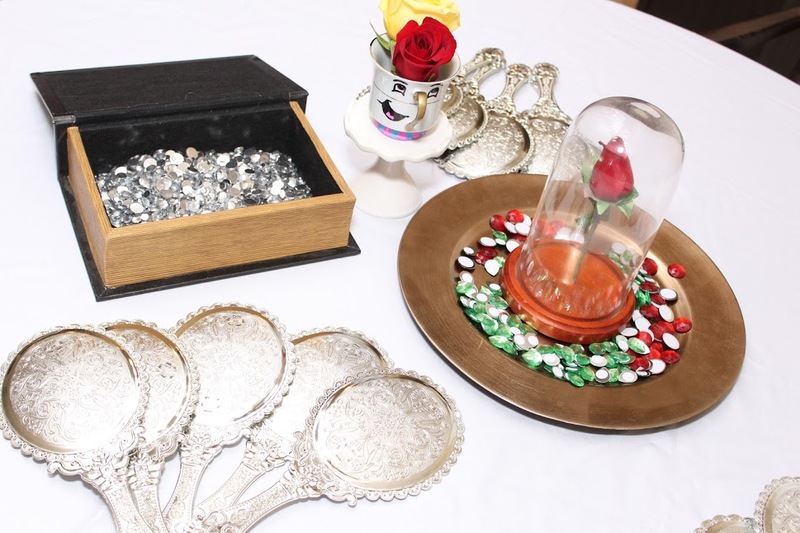 The whole project cost less than $20 and is the perfect centerpiece for a Beauty and the Beast princess part. 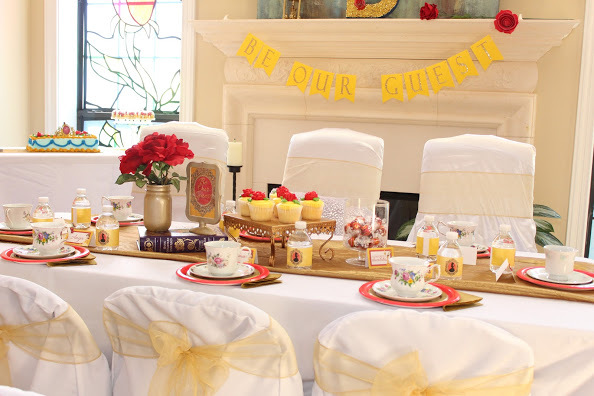 Create a “Be Our Guest” feel with a princess tea party. It’s so easy to find old tea sets at thrift stores. I have found countless sets for less than $1 each! Mix and match tea cups for a fun vintage feel. Craft the perfect tea party menu with mini tea sandwiches (your daughter’s favorite just cut fancier), petit fours from the local bakery, fresh fruit and an easy cheese/cracker platter. If you want to really impress your guests, make brownie bites with a dollop of grey frosting on top. This recipe resembles the “Grey Stuff” that is served at the Be Our Guest Restaurant at Magic Kingdom in Walt Disney World. Send me the Beauty & the Beast Water Bottle Label! Hi! I love your website! I was just wondering when the printable will reach my email? 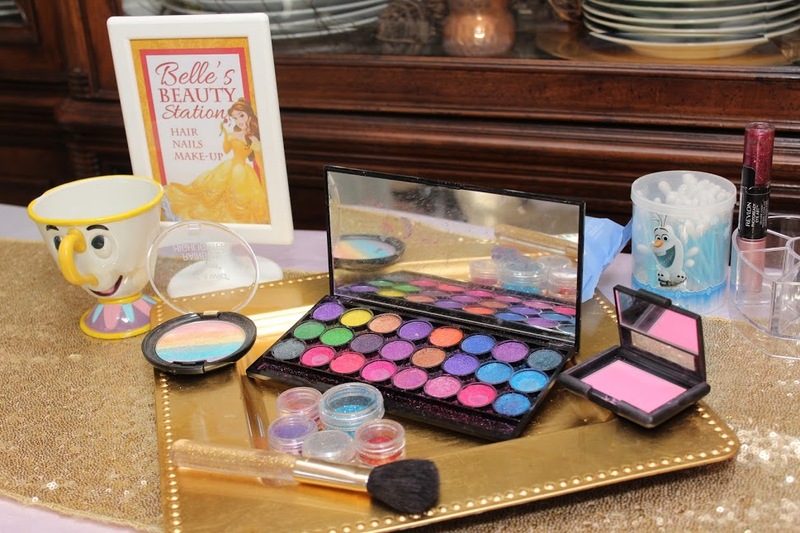 I subscribed already and I would think they are just perfect for the beauty and the beast party I’m planning.